Purdue Veterinary Medicine Dean Willie Reed announced this week the appointment of Dr. Sanjeev Narayanan as the new head of the Department of Comparative Pathobiology, effective August 1. Dr. Narayanan currently serves as professor of diagnostic medicine and pathobiology at the Kansas State University College of Veterinary Medicine. He earned the B.V.Sc degree at Madras Veterinary College in India in 1994 and his MS and PhD degrees at Kansas State in 1997 and 2001, respectively. A Diplomate of the American College of Veterinary Microbiologists (Virology and Immunology) and the American College of Veterinary Pathologists, Dr. Narayanan completed postdoctoral studies at the University of Texas Southwestern Medical Center at Dallas. His research focuses on studying the virulence and antimicrobial resistance of gut bacteria. Dean Reed said Dr. Narayanan brings extensive leadership experience at the college, university, national and international levels. "Dr. Narayanan is excited to join the PVM leadership team and looks forward to working with the Department of Comparative Pathobiology's faculty and staff," Dean Reed said. 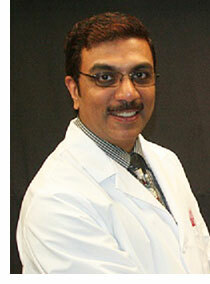 "Please join me in welcoming Dr. Narayanan to the PVM family." Dean Reed also expressed appreciation to Dr. Suresh Mittal for his excellent service as interim department head during this period of transition. "Dr. Mittal did a superb job in managing all aspects of the department and I am grateful for his dedication and commitment to the College," Dean Reed said.